Experience all four classics on PS4 with 1080p up-rendering, Trophies, and more. Purchase and download these games from PlayStation Store. 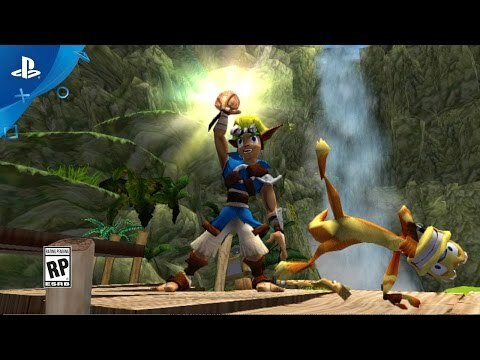 Set on an unnamed planet, these games follow the two protagonists, Jak and Daxter, as they try to unlock the secrets of their world and discover mysteries left behind by the Precursors. Experience all four classics on PS4 with 1080p up-rendering, Trophies, and more. Purchase and download these games from PlayStation Store. 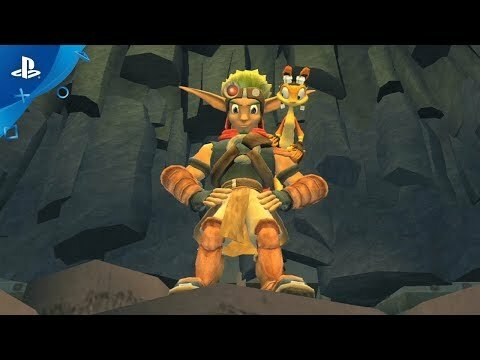 Jak is back in another action-packed adventure, but he's not the same. Experiments with Dark Eco have gone wrong, leaving Jak with an uncontrollable dark side. Accompanied by your trusty friend Daxter, unleash the dark powers on multiple enemies and witness amazing transformations. Armed with powerful weapons, a high-tech jetboard, an impenetrable mech suit, and a number of vehicles at your disposal, you have no excuse for failure. These titles have been converted from the original PlayStation®2 version to the PS4™ system. Consequently, there may be times where the titles play differently from the PlayStation®2 version, or where some features may not function properly. These versions do not support PlayStation®2 peripherals, therefore some functionality may not be available.